Hoowla has announced that the next phase in their integration with Land Registry Business Gateway has gone live. 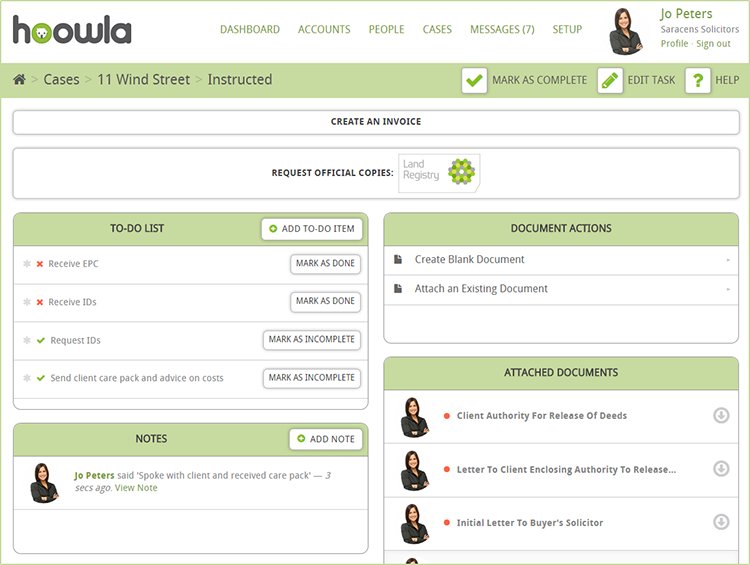 Clients can now request Official Copies of the Register from within Hoowla’s conveyancing case management software. Hoowla automatically provides the title number and tenure for properties via the Search by Property Description Service. This information along with details of the conveyancing firm is used when submitting the OC1 Application form through Hoowla. The digital version of the Official Copy Title Plan is then instantly returned and attached to the case. Hoowla’s land registry integration comes as standard for all clients using their case management software. Hoowla is modernising conveyancing for law firms and is a growing software provider for the conveyancing industry, developed in the UK and using the latest cloud technology.